Having just Mirai sitting on the Members News alone was not enough. She’s too alone, and we all know it. Danny came, and asked for a companion for Mirai. Oh~ yes, Suenaga Haruka! Shes small, but packs a punch in being cute. 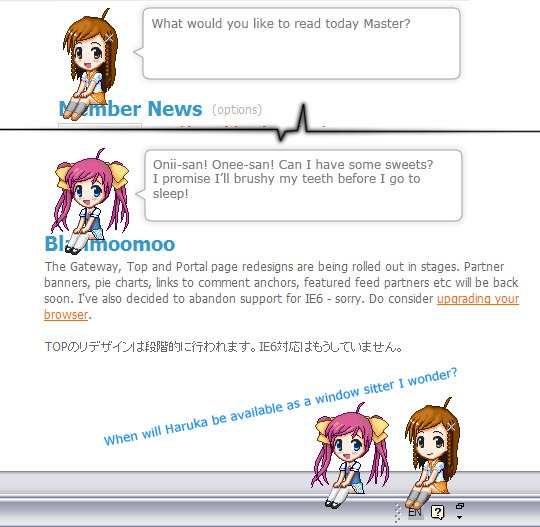 They’re both on Danny Choo sitting on Headers with a speech bubble ready to call out on the Members.